The 2019 Boston Bach Birthday has come and gone, but mark your calendar for the next celebration on March 21, 2020! The music of Johann Sebastian Bach is unquestionably the high water mark of the Lutheran musical tradition. Every year on the Saturday closest to Bach’s birthday, First Lutheran Church of Boston celebrates this musical giant and his myriad contributions to music and to the faith with the Boston Bach Birthday. Begun in 2009, this exciting event consists of a day-long celebration of Bach and his music, both sacred and secular. While the day’s programs center around the outstanding Richards, Fowkes & Co. organ that graces First Lutheran’s nave, the Boston Bach Birthday additionally features talented instrumentalists and vocalists from the Boston area in solo, chamber, and ensemble performances. Naturally, the majority of music performed is predominantly Bach’s own, though music by Bach’s contemporaries and music that reflects his influence finds a welcome place. An event geared towards children and their families always takes place in the morning, such as an organ performance of Peter and the Wolf or Casey at the Bat, or the accompaniment of a silent film. 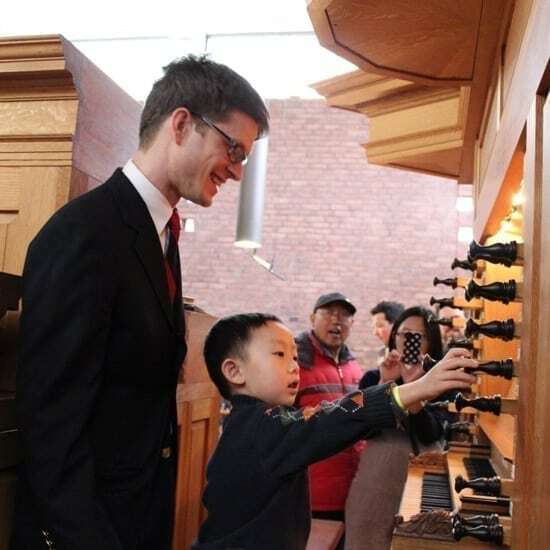 Afterwards, children are invited to visit the organ console and to play a few notes themselves. The day frequently includes an address given by a prominent Bach scholar, and past years have featured such luminary figures as Christoph Wolff or Robin Leaver. The day comes to a close with a Lutheran Vespers service modeled after those services Bach himself led at St. Thomas Church in Leipzig in the 1730s and 1740s, featuring one of Bach’s cantatas accompanied by a period orchestra. 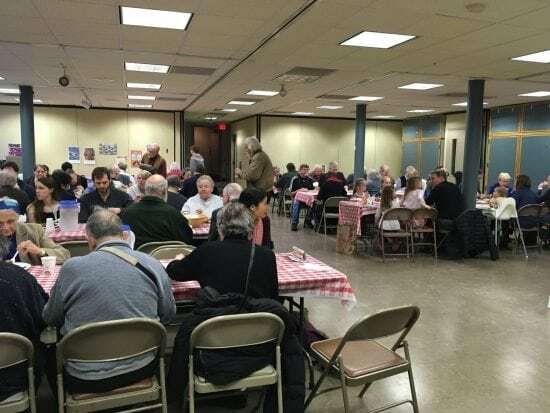 An authentic German lunch ($15) is served in the church undercroft for patrons who wish to take part. The menu varies slightly every year, but typical fare includes sauerbraten, roast pork, sausages, sauerkraut, salad, and giant pretzels. (Beer has not yet been included due to technical difficulties, but we’re not ruling it out for the future!) No events are cross-scheduled with the lunch, so nobody has to miss out on any music. Admission is free to the entire day (though donations are gratefully accepted), and patrons are welcome to come and go as they please. Some patrons stay for the whole day, and invariably come away musically satisfied. The Boston Bach Birthday is sponsored by First Lutheran and the Boston chapter of the American Guild of Organists. Past years have also featured the sponsorship of 99.5 WCRB Boston, and in 2013 the entire day’s events were broadcast live on the radio.